Welcome! To access our Events Calendar and NOSCO pages, please use your Member log-in. 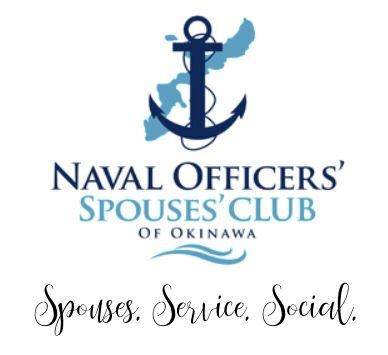 The Naval Officers' Spouses' Club of Okinawa (NOSCO) is a philanthropic and social club for officer spouses on Okinawa. It is a non-profit, charitable, and educational organization, providing welfare to the American military and local Japanese community as well as scholarship opportunities. NOSCO operates the Fleet Gift Shop on Camp Shields in order to raise funds for NOSCO's charitable contributions and academic scholarships. NOSCO is also a proud member of the American Welfare & Works Association (AWWA) which is comprised of representatives from the chartered U.S. Forces spouses clubs on Okinawa. Our purpose is to provide opportunities for friendship and support for our members and further the well-being of the community. We offer a variety of activities: charity fundraisers, social events, island tours, and cultural demonstrations, to name a few. We offer an opportunity to meet other spouses and serve the community. We extend a warm welcome during your tour here! To access calendar, please use your Member Log-in. If you have questions, ideas, comments, please contact me!